news The national competition regulator has taken global technology giant HP to court for allegedly breaking Australian consumer law by making misleading representations to customers regarding their warranty rights. In a statement issued this afternoon, the regulator said it had instituted proceedings in the Federal Court in Sydney against HP’s Australian arm, for misleading or deceptive conduct. The regulator said HP had been making false or misleading representations to consumers in relation to consumers’ statutory warranty and consumer guarantee rights; and making false or misleading representations to retailers that HP was not liable to indemnify them if they provided consumers with a refund or replacement without HP’s prior authorisation. The ACCC said that Australian consumer law provided consumers with rights to certain remedies from retailers and manufacturers, when goods failed to comply with the consumer guarantee provisions of the Australian Consumer Law, including that the goods are of acceptable quality and fit for the purpose for which they were sold. That is, if a good is not, for example, of acceptable quality, consumers may be entitled to a refund or a replacement item. “These rights cannot be excluded, restricted or modified,” the regulator wrote. 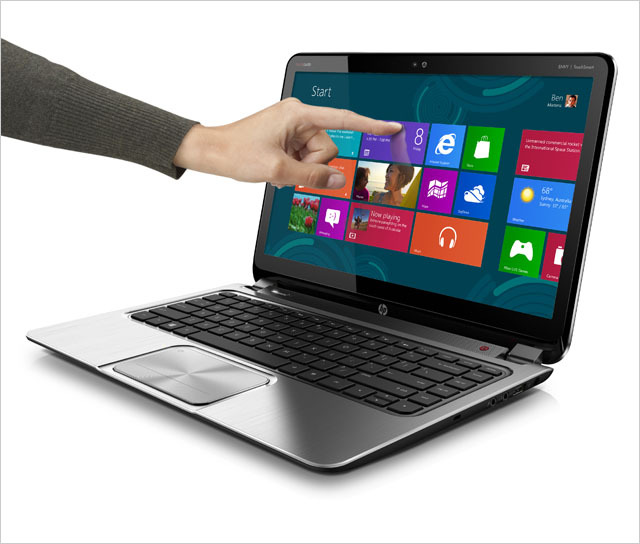 HP, the ACCC claimed, had told customers that the remedies available for a faulty HP product were limited to remedies available from HP at its sole discretion; that customers must have had a faulty HP product repaired multiple times before they were entitled to receive a replacement; that the warranty period for HP products was limited to a specified express warranty period, and that following the expiry of that express warranty period, that HP would repair its faulty products only on the condition that customers would pay for such repairs. In addition, the regulator stated, HP had told customers they could not return or exchange HP products purchased from its online store, unless otherwise agreed to by HP at its sole discretion. HP said in a comment responding to the issue: “HP takes seriously the matters raised by the ACCC and will fully investigate and respond appropriately.” The matter will be first addressed by the Federal Court in a scheduling conference on 7 December. The ACCC has been active in the technology sector over the past year. In June, for example, Apple agreed to pay the regulator $2.25 million in penalties for falsely marketing its new iPad tablet as being capable of 4G mobile broadband speeds in Australia. In addition, the ACCC won a Federal Court case against local telco TPG in November last year, with the court ruling TPG’s prominent nationwide advertising campaign for $29.95 “unlimited” broadband plans was misleading because it didn’t properly disclose additional line rental costs and setup fees. In its statement today, the ACCC pointed out that earlier this year it had embarked on a national consumer guarantees awareness raising campaign: ‘If it’s not right, use your rights. Repair, replace, refund.’ It noted it had engaged with industry to remind retailers and manufacturers of their obligations under the ACL and also has a number of ongoing investigations into other large manufacturers and retailers for alleged misrepresentations of consumer guarantee rights in breach of the ACL. My impression is that’s what people get told when contacting HP. I doubt HP would get very far at all if the breaches of regs were listed right their in the printed warranty. Definitely Karl. It’ll be what they’re telling customers when they ring up for warranty repairs and likely ask for it to be replaced under statutory rights. Guess we’ll see soon enough though…. “the company said it had instituted proceedings in the Federal” No. The Commission said..
“customers must had had a faulty” No. Fixed :) Been a long day. Having worked in the service department of a large retail chain and having had many dealings with HP service I can confirm that they are a) assholes and b) constantly trying to breach the regulations. One customer in particular sticks out in my mind; they’d purchased a laptop one day previously, got it home and unboxed it and it was completely DOA. The salesman swapped it for a new one on the spot (because what else can you do in that situation) and the DOA one came to service for us to sort out. When I called it through to HP for an RMA they tried to demand that we (the retailer) bring it in to a service centre because that’s what we should have directed the customer to do in the first place (despite it being 24 hours old and completely unfit for purpose). I did my block and they quickly backpedaled. This was just one of many, many similar experiences with HP (incidentally no other OEM PC manufacturer was near as bad, at the time anyway). It’s a fact that if you read through a lot of the ACL then the majority of ‘limited warranties’ are actually just an attempt to get you to waive your statutory rights with regards to the life you can reasonably expect from a product and it’s fitness for purpose. My take on this is that it’s push-back on manufacturers and wholesale distributors. The current legal situation is that the customer has legal recourse with the retailer but that retailer may have no ability to then push that back to a manufacturer or disti. So, someone buys a computer and it’s “not fit for purpose”. Retailer is obliged to allow the customer their choice of refund/repair/replacement but has no ability to then seek a resolution from up the chain. The result being that the retailer is the meat in the sandwich and bears the cost impost of any such issues. Personally? I think it’s about time this situation was pushed back onto the manufacturers and distis to be compliant with legislation. Just being picky, but… does the opinion/analysis in this news item really provide the reader with anything useful? I do follow Delimiter fairly irreligiously (because I’m an atheist), and find a lot of the opinion very interesting, but in this case I don’t feel that the opinion/analysis says anything other than “let’s see what happens”. Renai, I’m sure you know that all large manufacturers and retailers with international presence routinely have to comply with all relevant laws and regulations of the territories in which they operate. HP would have a cadre of lawyers to manage such issues. To allow them a pass on the basis that the company is possibly “simply applying the same terms and conditions to purchases in Australia that it does in its home country” is cutting them waaay too much slack. They’re not some mom & pop computer store that just started trading yesterday. This is undoubtedly a high-level strategic decision to maximise corporate revenues by minimising costs in any jurisdictions they think they can get away with it.